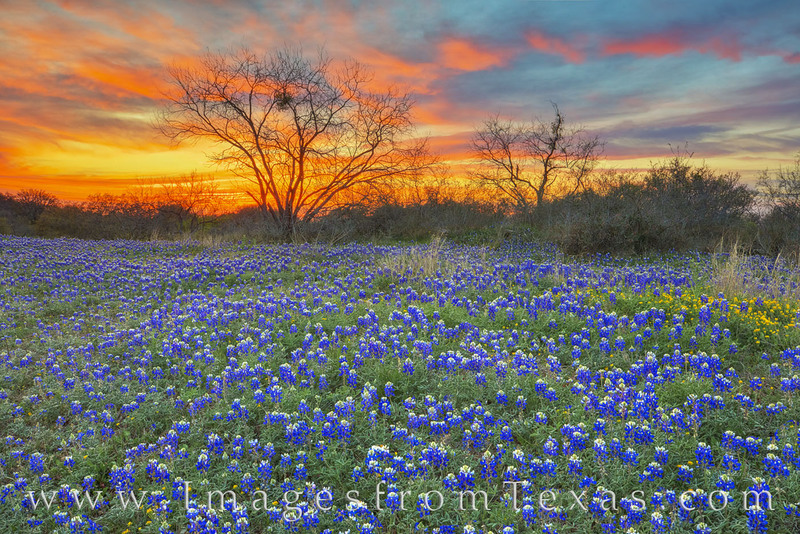 A cool March evening found early bluebonnets enjoying a beautiful sunset in the Texas Hill Country. Found on a quiet farm to market road between Llano and Mason County, the sky glowed orange for a few minutes to bring a vibrant splash of color to the end of the day. Photo © copyright by Rob Greebon.